Here is the second part of popular CUBEception adventure map, in this case CUBEception 2 for Minecraft 1.4.7. This is an adventure map, that will provide several hours of play, at first, is based on the idea that we’re locked in a huge bucket where we have to escape from . But this isn’t all because CUBEception offers a great story that is sure to have you hooked. 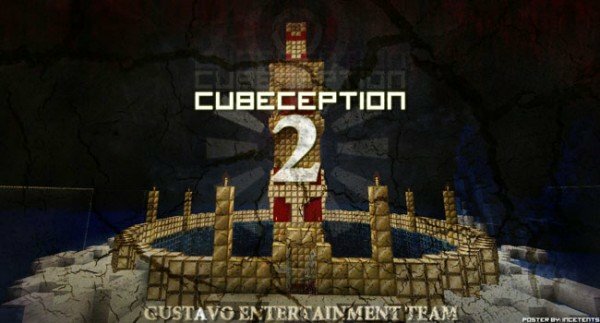 How to install CUBEception 2 Map for Minecraft 1.4.7? Paste the downloaded map into the saves folder. We have a new adventure in Minecraft!